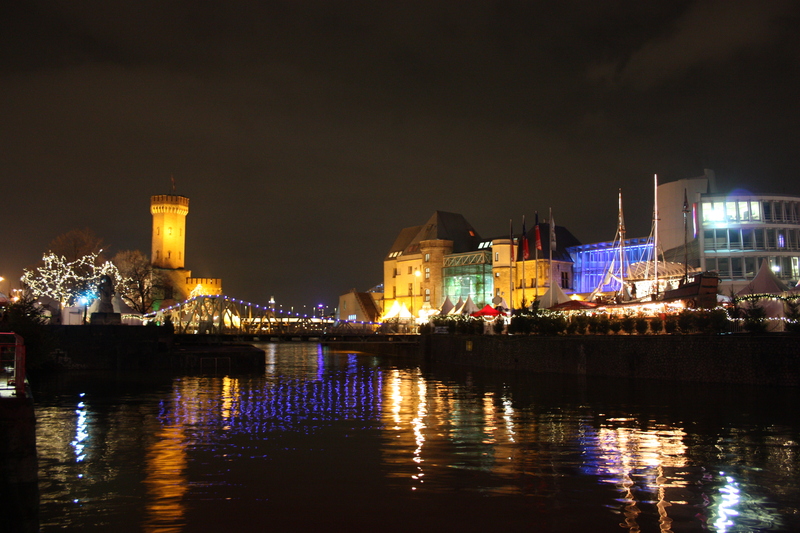 We took the train over to Cologne with an empty backpack, knowing we would be visiting the Christmas Markets. We took the train back home with that backpack full of festoonery. 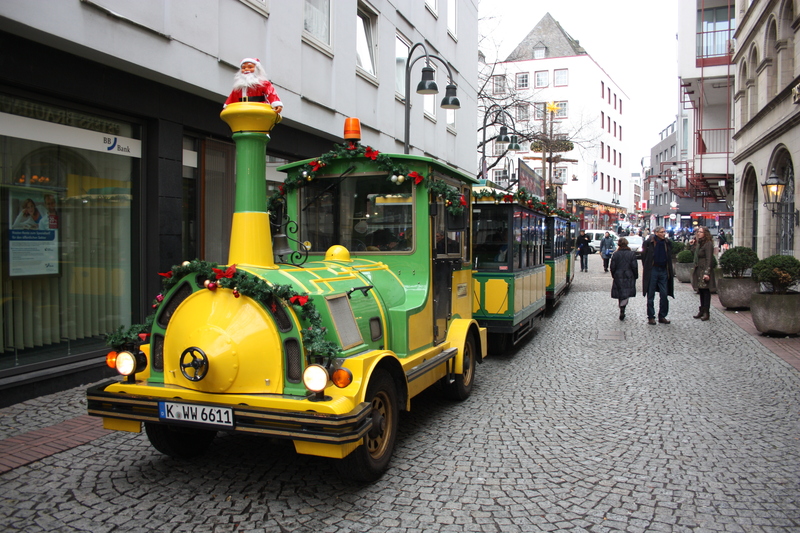 Cologne’s Christmas Markets run from the end of November/start of December all the way until just before Christmas (this year the last day was 21 December). There were eight of them in the city this year. 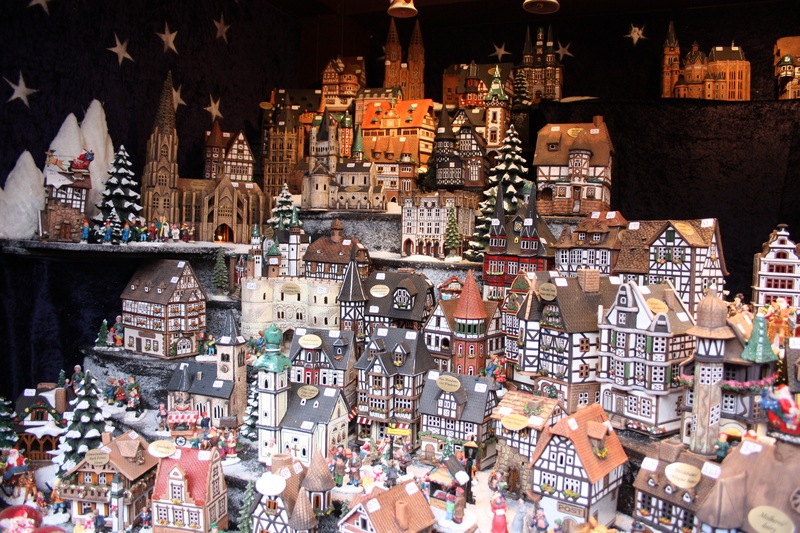 Given Cologne is only a mile or so in diameter, that’s a lot of festivity! We only managed to fit five in during our visit. In some respects they were quite similar. In others, they were entirely different. The five we visited were all quite close to each other, but a Christmas train ran a continuous circle between them. You could buy a round trip ticket and then get off to visit each market in turn. 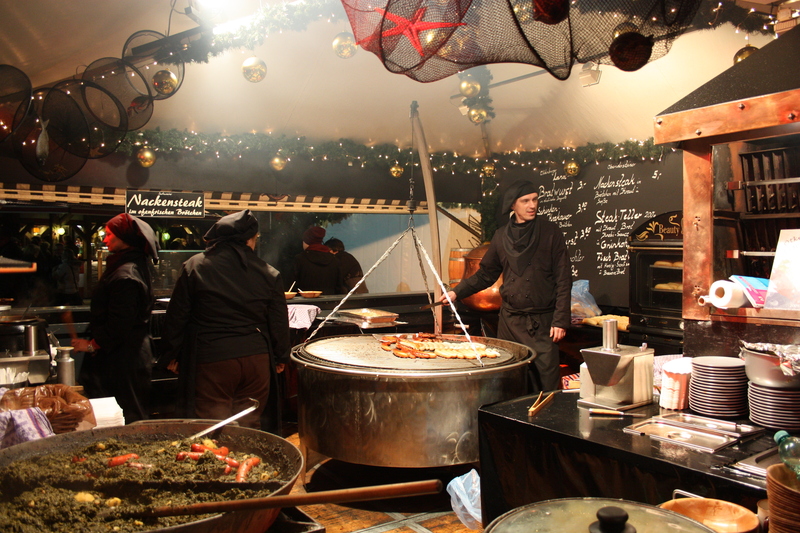 Each market had two important staples, wurst and glühwein. We went overboard on both. On one day we decided to eat nothing but brätwurst. We went off in resolute pursuit of our objective for the day. We succeeded in our mission, though by the end we were all feeling a bit wurst for wear. It was our considered view that the Harbour Market sold the best brätwurst. 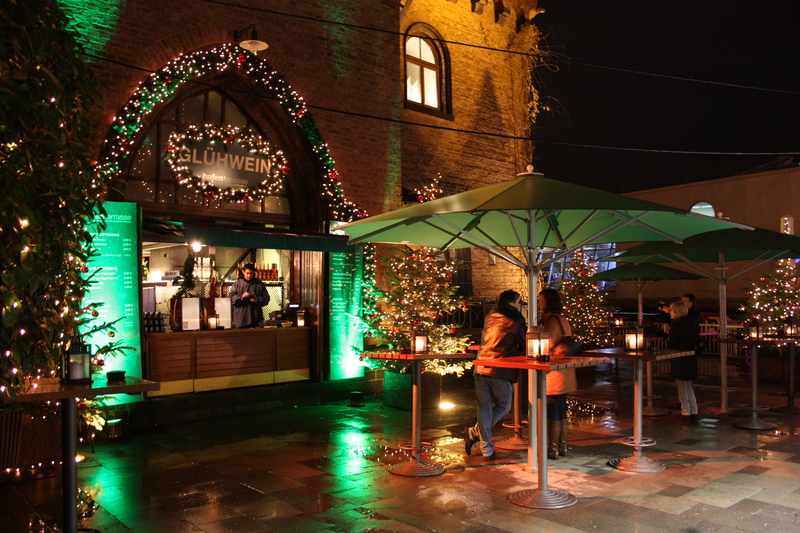 As for the glühwein, it was pretty good wherever we went. Like the wurst stalls, there were several at each market. This one looks quiet, but by mid-evening it was jam-packed with people. Strangely enough, the best glühwein we had was not at a Christmas Market, but at the Skulpturenpark, a sculpture park just to the north of the city centre. We were perfectly happy to have glühwein wherever we encountered it, though. For the kids hot apple juice was served – equally delicious. 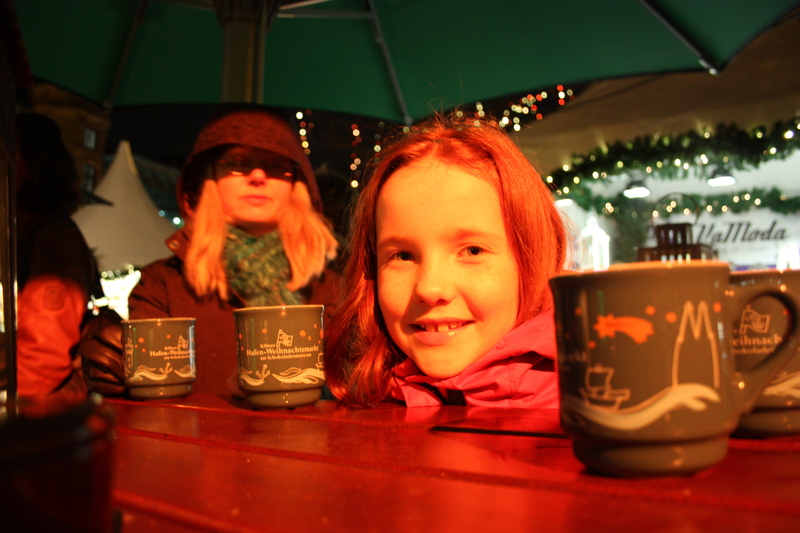 One of the best things about the markets was that each one had its own glühwein mug. On ordering the glühwein a deposit of €2.50 also had to be paid for the mug. You could keep the mug and forfeit the deposit, or return it and get your money back. We took a few back home as souvenirs; those from the Cathedral Market were our favourites. There were all sorts of stalls. Each market seemed to have slightly more concentration and variety of one particular type of product, whether it be wood carvings, candles, or food and drink. Some also had particular features. Heumarkt, for example, had an open air ice rink. 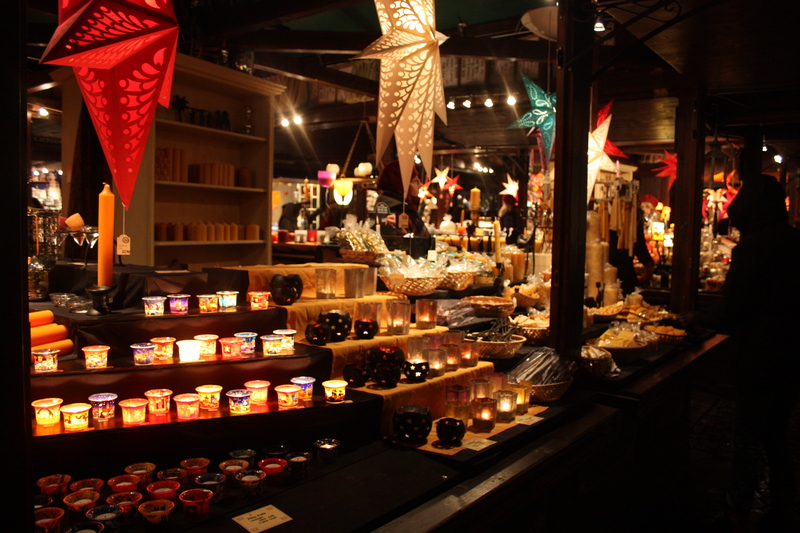 You could buy anything from wood carvings to knitted clothes to candles to ornaments to jewellery to……did I mention the glühwein? 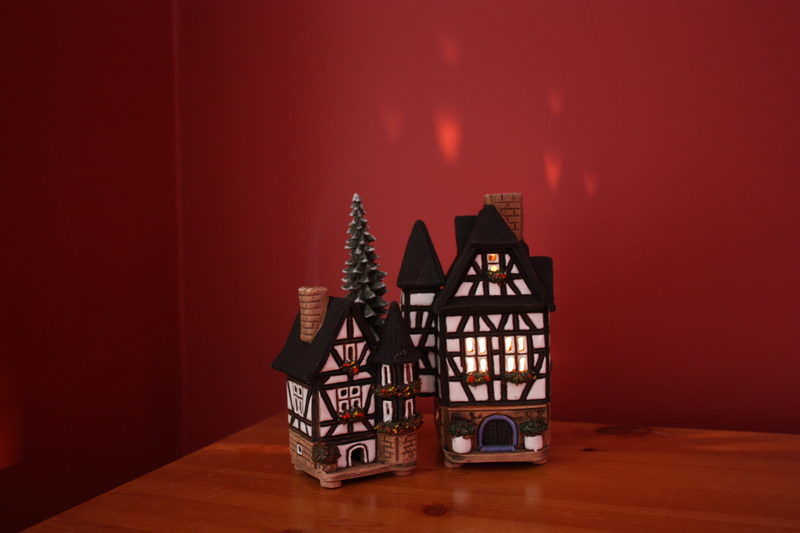 One of my favourite types of stall sold miniature ceramic buildings. The tops lifted off to allow a tealight or incense cone to be placed inside. The tealights glowed through the windows; the smoke from the incense rose up through the chimney. You could get anything from a cottage right up to Cologne Cathedral. We bought one of each. Can you see the smoke from the chimney? Just about, I hope. The markets would generally open at 11am, but came into their own once the sun had set. They were truly beautiful. 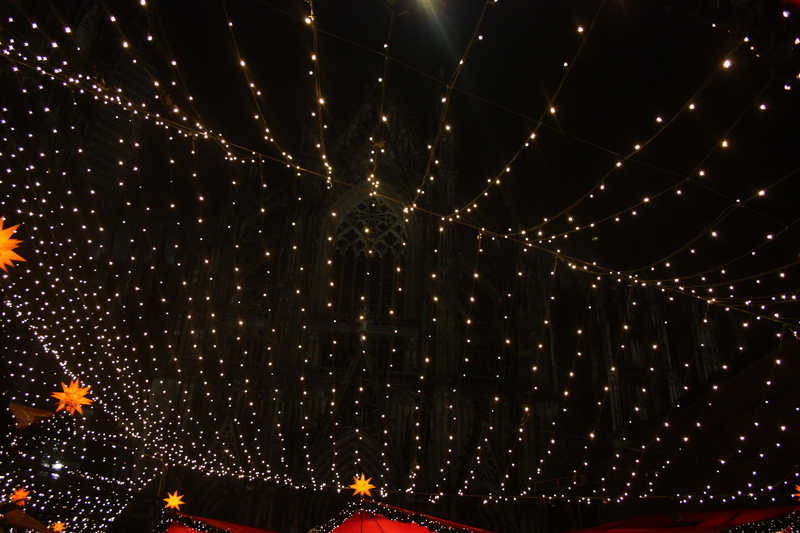 The Cathedral Market had a roof of fairy lights. The cathedral itself could be seen towering above. 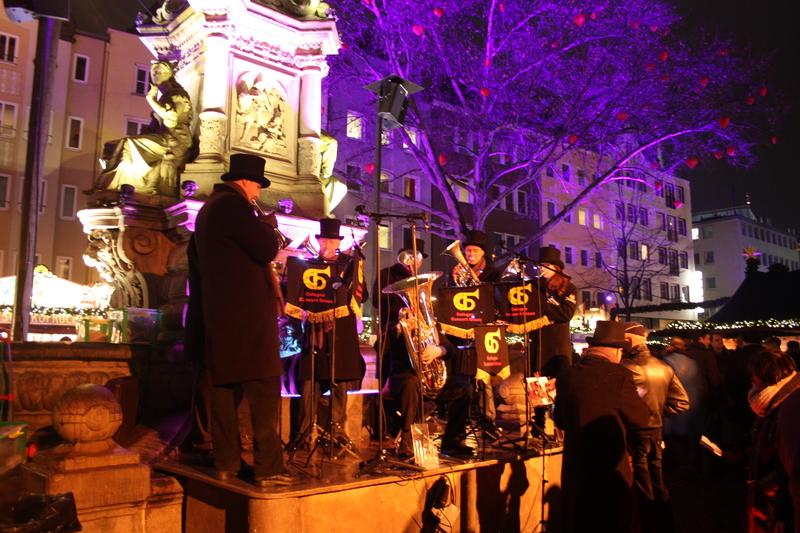 At Altermarkt a brass septet played Christmas carols. 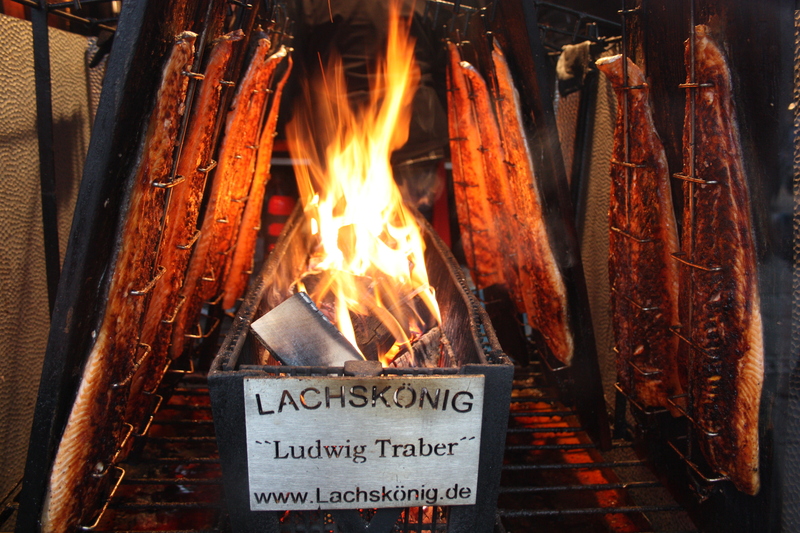 At Neumarkt salmon cooked on real wood fires. We forgot to try it – a perfect excuse to return next Christmas! 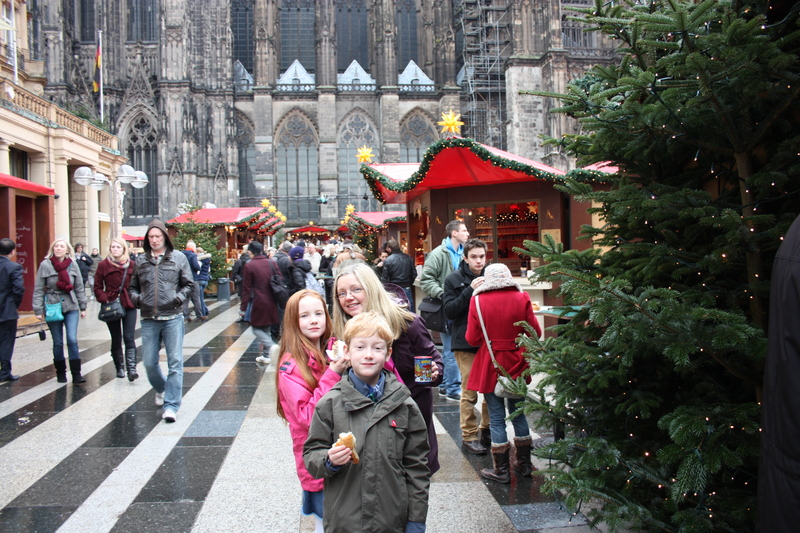 This entry was posted in Germany and tagged christmas markets, cologne, gluwein, tourism, travel, wurst. Bookmark the permalink. That looked fantastic! If I should ever be in that neck of the woods around Christmas, this place is definitely on my Must-See list.